How does the 90-day free trial work? If you cancel a paying plan within 90 days of signing up you won't be charged a thing . If you do choose to cancel your account in the future you will never be charged again, but you are responsible for charges already incurred up until your cancellation . Refunds can not be issued after your initial 90 day trial and we don't prorate for partial months. Do I get a 90-day free trial if I upgrade? If you upgrade from a free account to a pay account you are not eligible for the 90-day free trial. The 90-day free trial on paying plans only applies if you sign up for a paying plan now. You can always downgrade later if you choose. No. The prices you see above are all inclusive. Every Limocart plan includes specific number of dispatchers and this is explained in the price table. Only "Large Business" plan includes unlimited dispatchers. How many vehicles I can register from my fleet? It depends on your service plan. For example if you choose "Small Business" plan you can only register 15 vehicles from your fleet. If you have more vehicles in your fleet please see the price table for higher options. Currently we accept Visa, Mastercard, American Express and Discover. We do not accept PayPal. At this time we only accept payments online so we will not be able to accept a P.O., invoice you, or take an order over the phone. Our state-of-the-art computer servers are protected by biometric locks and 24-hour surveillance. Our product software and infrastructure is updated regularly with the latest security patches. Our network is protected by an enterprise-class firewall and all Limocart plans include SSL encryption to keep your data safe. What web browsers work with Limocart? If you have questions about Limocart or the sign up process just submit a support request and we'll get right back to you . 1. This Agreement (the "Agreement") is a legal agreement that governs your relationship with Limocart.com, Inc., use of the Limocart network website (“Site”) and the services available on Site ("Services"). a. In addition to the terms and conditions in this Agreement, users may be asked to agree to additional terms when using different parts of Site. The terms and conditions of this Agreement, along with such additional terms and conditions, will be referred to as the "Terms". Limocart.com reserves the right, at its sole discretion, to change, modify, add, or remove portions of any of the Terms at any time. Please check the Terms periodically for changes. Your use of Services after Terms are posted will mean that you accept all Terms. b. You shall be referred to as member Limousine Service Partners (“LSP”), and all of your d/b/a's, affiliates, agents, employees, representatives, subsidiaries, locations and subcontractors as "You" or "Service providers.” Limocart.com, Inc. and its employees and agents shall be referred to as "We" or "Us" or “Limocart.com." References herein to the Limocart network web site include any and all web sites now, or hereafter, owned or operated by the Limocart network. c. Limocart LLC is a corporation registered in the state of Delaware. a. We receive reservations from our customers ("Customer") on your behalf for certain services. In turn, Limocart will send you a communication about Customers’ expressed service request need ("Reservation"). We will also send Your contact information to the Customer, along with Your terms and conditions of service. The information We provide about You will be based on the information You submit to Us on our Site (which You may amend at any time) and Customer Reviews, and may further be amended by Limocart at any time. If You do not upload your terms and conditions to Limocart, or provide it to Us, then Limocart’s terms and conditions will control and govern your relationship. b. We do not guarantee to provide You any specific number of Reservations. We are not involved in, nor do We have any responsibility for Your contracts with Customers, their creditworthiness, or any payments to You or any disputes that may arise from Your relationship with said Customers. You hereby agree that Limocart network is free to contract with other service providers or partners, as this is not an exclusive contract.c. We shall provide Customers the ability to rate their experience working with You via Customer Reviews and We may disclose such ratings publicly. Limocart network will request Customers to provide quality feedback evaluating their experience with each LSP. Survey questions include but are not limited to the following: Positive, Negative or Neutral as well as an open field for customer feedback. The results of these reviews will be shared publicly on Limocart. Any service issues identified via low quality ratings may result in termination of this Agreement or require Limocart to develop a formal plan to prevent the future occurrence of such issues. d. Limocart shall host the System, Site and all pages relating to the Services as part of the Services. However, LSP is solely responsible for all content provided that appears on Service providers and partners web pages and on the Services. e. In the event that Your customer rating is less than seventy-five percent (75%), Limocart reserves the right in its sole discretion to suspend Your availability until You and Limocart have agreed to required changes to reinstate Your account. If You do not wish to have Your availability reinstated, You must advise Limocart about termination. Your account will incur costs until such termination request is received. i. You are licensed, insured, qualified and capable of performing any of the services You have provided to Us or selected via the Site (including, but not limited to, vehicles, airports served, service types and service areas) and any subsequent updates You provide to us. ii. You are, and at all times shall be, properly and fully licensed, bonded and insured at levels in accordance with applicable governmental, regulatory and industry standards under all applicable laws and trade regulations. You agree to produce documentation to verify this to Limocart. Further, You agree that You have not been turned down for insurance coverage related to Your provision of services. You will notify us promptly of any changes to your licensing, bonding or insured status. If You or Your company is operating under a license with special restrictions, You agree and represent that You will at all times operate within the guidelines as specified by such restrictions. iii. 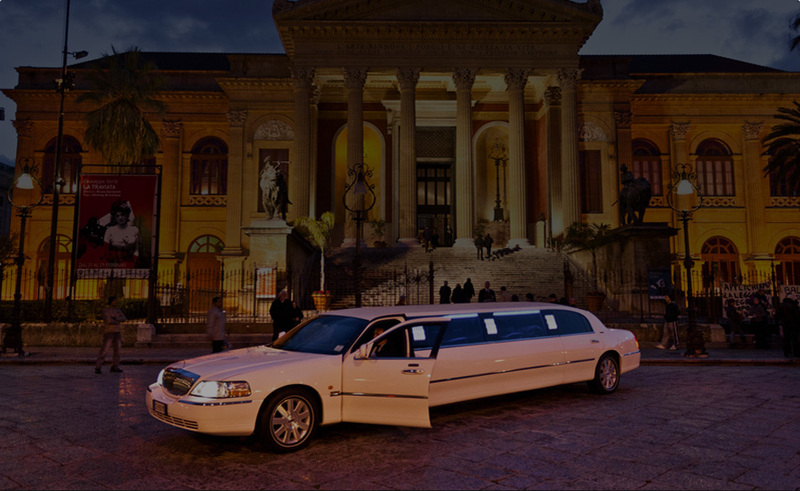 You will operate any reservation You receive from Limocart as if it was generated by You. You will be entirely responsible for each and every job booked through Limocart and the full execution of each job.iv. You will comply with the Limocart registration requirements as specified from time to time, including providing Limocart network with any updates or renewal documentation of licensing and insurance coverage. Each applicant to Limocart must complete and submit a registration application on-line at www.Limocart.com. Upon receipt of Your registration, Limocart will notify You of your activation. v. You hereby represent that You, any predecessor entities of Your company, any other majority shareholders, partners or members, and Your company, are free from any of the following: (i) bankruptcies or civil legal judgments within the last 3 years, or (ii) felony criminal convictions, or You have provided Limocart with an accurate and truthful written statement detailing any exceptions. If at any time during your membership with Limocart network, You, any predecessor entities of Your company, any other majority shareholders, partners or members of Your company should file for bankruptcy or be involved in bankruptcy proceedings, have a civil legal judgment entered against such party or a felony conviction entered against such party, You will promptly notify Limocart. You further represent that You have not been sanctioned or penalized by any governmental authorities in connection with Your provision of services to any of Your customers and that You have not been denied membership to (or had Your membership revoked from) any professional industry associations. You authorize Limocart to verify that all of the above representations are truthful and accurate. vi. You represent and warrant that You will perform Your services for Customers in a good and workmanlike manner consistent with the industry standards. You will fully cooperate with Us if We attempt to facilitate the resolution of any Customer complaints between You and Your Customers. However, You hereby agree and acknowledge that Limocart is not liable to You or any Customer if such matters cannot be resolved. You agree that We shall have the right to disclose any information We have regarding You and Your company to any authorities requesting information from Us regarding any work or services You have performed. vii. If You provide written comments or testimonials about Our services or activities, You agree that Limocart shall have sole ownership of any and all intellectual property rights in such comments or testimonials, and that We may post and publish Your comments or portions thereof at Our sole discretion on Our Sites or in marketing materials including Your name and company or agency, and that You shall not be entitled to any payments associated with Our use of the foregoing. You hereby authorize Us to use Your name, company name, and franchise name, as applicable, and the use of any trademarks, service marks, trade names and logos, in the form or format that You supply to Us or that You upload to Our Sites, for use and posting on Our Sites and for use in marketing materials to be presented to Customers in online postings, via emails or otherwise to help promote You or Your services. You shall not be entitled to any payments associated with Our use of the foregoing. Limocart reserves the right, in its sole discretion, to review, reject and remove any content that You upload to the Limocart network Sites or Your company profile. You further represent that You have all necessary rights to display any of the logos, service marks, trademarks, and any other content that You upload to our Sites, and You represent that Your uploading for display of any such content, and the use by Limocart of such content as contemplated by this Agreement, shall not violate any third party's intellectual property rights. If there are any limitations or restrictions pertaining to the use or presentation of such logos, trade or service marks, it shall be solely Your responsibility to provide Us in writing with any such restrictions or limitations of use. If expressly authorized by Us in writing in advance, You may be authorized during the term of this Agreement to use certain marks of the Limocart network as necessary to promote Your business. You are expressly prohibited from registering any trademarks or domain names of Limocart.com. viii. You acknowledge and agree that all of the content and information posted on the Site, including but not limited to Service providers and partner profiles, screening information and Customer Ratings & Reviews for all Limocart LSP members (excluding any logos or trademarked materials, or other intellectual property of Service providers and partners provided by Service providers and partners), is the sole and exclusive property of Limocart. You acknowledge and agree that You have no right to reproduce, post, publish, display or otherwise use any Customer Reviews (including those relating to You and your business) , or any other content posted on the Sites, other than content provided directly by You or as otherwise specifically authorized by Limocart. You acknowledge that a violation of the foregoing could result in significant damages and You hereby agree that You will indemnify Limocart.com in the event of any third party claims against Limocart based on or arising from Your violation of the foregoing. You acknowledge and agree that Limocart has the right, in its sole discretion, to contact Customers about services You provide to gain their feedback and rating of You, and to display such Customer Ratings and Reviews on our Sites. Limocart is not responsible or liable to You for any comments, ratings or communications of any kind from Customers that Limocart chooses to post on our Sites. 1. Incorporating any fee in a Customer's bill for any fees paid to Limocart; 2. Charging Limocart customers any more than your other Customers; or 3. Disclosing any Customer personal information to any third party. You will at all times be in full compliance with all applicable federal, state, provincial, local and other laws and regulations that apply to Your activities. You acknowledge and agree that to knowingly share, distribute, transfer, or sell a Limocart Reservation (or the information contained therein) in any way other than expressly set forth in this Agreement, is a serious breach of contract and constitutes fraud. You acknowledge and agree that such a breach by You could result in invasion of privacy rights of others, significant costs and damages to others, and to Limocart and other LSP members. You acknowledge that there may be regulatory fines and penalties imposed on You for contacting consumers and businesses in a manner not in accordance with applicable laws and regulations, including, but not limited to, federal, state, and provincial do-not-call regulations, as well as federal, state and provincial anti-spam regulations. Accordingly, if You knowingly share, distribute, transfer, or utilize a Booking (or the information contained therein) other than as expressly set forth in this Agreement, You agree to fully indemnify and be liable to Limocart as set forth below, for all damages, whether direct or indirect, punitive and consequential, and any regulatory or judicial fines or penalties that may arise from such activities. x. You agree to allow only employees of Your company or independent contractors performing services directly on behalf of Your business to contact or provide any service to Customers You receive from Limocart. To the extent You use any such subcontractors, You shall be responsible and liable for all acts and omissions of such subcontractors and for ensuring that such subcontractors comply with all the provisions of this Agreement. You agree not to sell, trade, gift, assign, or otherwise transfer any Reservations provided by Limocart to any other party, including any other Limocart network Service provider or partner. Furthermore, all Service providers and partners must have a garage location or base of operations within the service area You establish on our Site. xi. You agree that You shall provide prices to Limocart for uses that are consistent with Your current market wholesale rates. Limocart will work to secure Channel Partners (“CP”) which will require up to a Fifteen Percent (15%) commission of the base fare less the deposit to CP but withheld by Limocart (based on sales volume), which We will withhold and then We will pass through the balance to the service provider along with the transaction fee when said job is generated from CP’s site. The commission applies to the balance after the booking fee. i. There are four (4) groups in the Limocart network community that work together to create a beneficial match between Customers seeking services and qualified local operators: (1) Customers; (2) service providers and partners; (3) the Limocart network team; and (4) Channel Partners. 1. Act with integrity and mutual respect. Commitments between Customers and Service provider and partners will be clearly stated and kept. Service provider and partners agree to keep appointments and Reservations.2. Communicate Openly. Communication between Customers and Service providers and partners is to be timely, candid and simply stated. Concerns are to be expressed openly and objectively so that, whenever possible, conflicts may be discovered early and resolved quickly. 3. Share Information. All Customers should be encouraged to contribute to Reviews. The reviews are intended to expand the power of "word of mouth" advertising to promote service provider and partner capabilities and encourage continuous improvement. All service Reservations will be monitored and evaluated to provide a medium in which each of the three groups comprising the Limocart community may obtain their intended benefits. 4. Problem Resolution. If requested by either a service provider or partner or Customer, Limocart may offer programs that are designed to assist Customers and service providers or partners in resolving problems that arise between them. Service providers and partners commit to addressing any and all issues between service providers and partners and Customers in a manner consistent with the Limocart resolution process as may be in place from time to time. 5. Respect Privacy. Service providers and partners should take reasonable steps to protect all personal and confidential information shared by Customers while facilitating Services. 6. SP agrees not to initiate any contact with CP regarding any jobs that arise from their relationship with Limocart. i. Represent themselves and Limocart in a professional manner, including the quality of service or work, professional appearance and superior service. ii. Treat Customers with courtesy and respect. iii. Be punctual for Customer reservations and proactively contact Customers when a possible delay in a reservation is known to the LSP. You agree to arrive at least ten (10) minutes before any Reservation. iv. Return phone calls in a timely manner. v. Provide Customers with detailed and complete information with respect to the operated job in question, if applicable. vi. Honor and fulfill all Reservations received from Us.vii. Encourage Customers to participate in the Review process related to their service request. viii. Participate in the Limocart resolution process for Customer disputes as necessary. 7. You expressly acknowledge and agree that there is no guarantee whatsoever in the amount of work that will be provided to You by Limocart. i. Reservation transaction fee of $4.99 per transaction. Limocart fees are non-refundable. There is also a Booking Fee charged to the Customer based on the car class selected by the Customer; this Booking Fee is also non-refundable. ii. There are no activation fees, minimum volumes, or term limits for Your Limocart network account. iii. Termination: If You wish to terminate this Agreement, You must provide us notice in writing via fax to 201-706-7716. Upon receipt by Us, Your account will be closed within Thirty (30) days of Your last reservation.iv. You acknowledge that it is solely Your responsibility to ensure that the communication methods You have selected in Your Limocart profile are kept current and accurate. Limocart shall not be responsible, or liable, for undelivered Customer notifications. If Your account information is lost or stolen or You suspect that Your Limocart account has been accessed without Your permission, please contact our Provider support team immediately by electronic mail at customerservice@Limocart.com. You remain liable for all Limocart network fees until You contact Limocart. v. You may view a statement of Your monthly jobs operated on Your Limocart account, in the “My Company” tab of your online account. Limocart will process Your billing via Your selected payment method. vi. You agree to electronic delivery of Your account activity records, disclosures and other information relating to Your account and the Services provided by Us in connection with Your account. You agree that electronic delivery of these documents will constitute sufficient delivery to You and be deemed received by You when sent, whether or not You actually access or view the message. You understand that it is Your responsibility to promptly and carefully review any messages made available to You electronically or via the Site and to immediately notify Us of any errors. You may change your primary e-mail address, phone number or other contact information by selecting the appropriate item from the "My company tab "section of the Site after logging in. You agree to maintain an active primary e-mail address for log-in and receipt of Bookings and other messages. You consent to receive periodic advertising to Your email address from Limocart advertising sponsors. In the event of failure of one or more of these additional addresses, e-mail notifications will be sent to Your active primary e-mail address until You update Your e-mail addresses. If You elect to stop receiving emails from Us at any time, then You agree to delivery of Your account/billing records and/or Bookings on the Site under your "My Info" section. vii. No fee is due or payable to the extent such fee is in violation of any applicable law. a. Each party represents and warrants that it has the right, power and authority to enter into this Agreement, to grant the rights granted herein and to perform the duties and obligations described herein. You represent and warrant that every person who shall perform services for or on behalf of You in connection with this Agreement is at least eighteen (18) years old as of the date hereof. i. You shall fully protect, indemnify and defend Limocart and all of its agents, officers, directors, shareholders, suppliers, partners, employees and each of their successors and assigns ("Indemnified Parties") and hold each of them harmless from and against any and all claims, demands, liens, damages, causes of action, liabilities of any and every nature whatsoever, including but not limited to personal injury, intellectual property infringement, fraud, deceptive advertising, violation of any state, provincial or federal laws or regulations, property damage, attorneys' fees and court costs, arising in any manner, directly or indirectly, out of or in connection with or in the course of or incidental to any of Your work for or dealings with any Customers, or Your services, representations, advertising, or obligations (including, but not limited to, Your obligation to maintain the confidentiality of user personal information) as provided in this Agreement, including any extra work, regardless or cause or fault or negligence of Limocart or the Indemnified Parties and without regard to cause or to any concurrent or contributing fault, strict liability or negligence, whether sole, joint or concurrent, active or passive by Limocart or the Indemnified Parties. i. You hereby acknowledge and agree that Limocart services are provided to You on an “as is” basis, and Limocart disclaims any and all express or implied warranties, including, but not limited to, any warranties of merchantability, fitness for a particular purpose, and noninfringement, to the maximum extent permitted by law. a. Updates or Amendments. This Agreement and the Limocart Fees and Payment and activity records may be changed from time to time and You agree to be bound by any changes that are posted on the Limocart Sites or which are otherwise communicated to You. b. Confidentiality. Limocart and the service providers and partners agree that at all times during the effectiveness of this agreement, and for two (2) years after the agreement is terminated, each shall keep confidential all information provided by any party in relation to this agreement or the commitments that it sets forth. Such information shall include, without limitation, this Agreement, all Customer information, information regarding other service providers and partners participating in the System and any and all technical or non-technical information provided by any party. c. Termination. Limocart, in its sole discretion, reserves the right to suspend Your rights under this Agreement or terminate this Agreement and Your membership in Limocart immediately and at any time for any reason or no reason at all. You may terminate this Agreement upon our receipt of your written notice during normal business hours (such termination to be effective upon the close of business on the day properly delivered and received), but You shall be obligated to pay for any Bookings or fees for other services delivered to You prior to Limocart receiving Your termination during normal business hours. d. Survival. If this Agreement is terminated or expires, Your agreements and obligations under this Agreement shall continue with respect to any Services provided to You during the term of this Agreement and relationships You enter into or create from those Services. Further, Your will continue to be governed by this Agreement, including but not limited to, the respect to any disputes that may arise or claims that may be made against Limocart and any indemnification of Limocart by You for such claims. e. Legal Rights. If it is determined or suspected by Limocart, in its sole discretion, that You are misusing or attempting to misuse or circumvent the Limocart services or system or any Customer data, or are using or attempting to use it for any inappropriate, illegal, harmful, or anticompetitive purposes, including but not limited to activities such as hacking, infiltrating, fraud, advertising, jamming or spamming, or any activities inconsistent with the services proposed to be offered by Limocart, in addition to our right to immediately terminate this Agreement, Limocart reserves the right, in its sole discretion, to initiate, without notice, appropriate legal actions or proceedings to seek appropriate remedies and/or damages, including but not limited to, lost revenue, repairs, legal fees, costs and expenses, and to seek injunctions or other equitable remedies. f. Refunds. In the event of termination of this Agreement, You shall not be entitled to any refund of any fees paid to Limocart. g. Attorneys Fees, Costs. You will be liable for any attorneys' fees and costs if Limocart has to take any legal action (including the retention of a lawyer) to enforce this Agreement. This Agreement, the Terms, the Service and any modifications thereto may not be assigned or in any way transferred without the prior written consent of Limocart. The terms of this Agreement shall be construed in accordance with the substantive laws of the State of New Jersey. Any dispute, controversy or claim arising out of or relating to this Agreement or the breach or termination hereof shall be settled by binding arbitration in Bergen County, New Jersey, U.S.A. h. Independent Contractors. The relationship between Limocart and You shall be that of independent contractors and neither party shall be or represent itself to be an agent, employee, partner or joint venture of the other, nor shall either party have or represent itself to have any power or authority to act for, bind or commit the other. i. Survival of Terms. If any provision of this Agreement is declared invalid as contrary to law or public policy, the remaining provisions hereof shall continue to remain in full force and effect.j. Notice. Except as explicitly stated otherwise, any notices to Limocart regarding this Agreement shall be sent to customerservice@Limocart.com. Any notice to a user shall be given to the name and address submitted at the time of registration. k. No breach by either party hereof shall be deemed material unless the other party shall give written notice of such purported breach to the breaching party and the breaching party has not cured such breach within seven (7) business days after receipt of such notice. l. This Agreement shall not be deemed to create any joint venture, partnership or agency between the parties hereto. It is understood that each party to this Agreement shall be independent of the other and that neither party shall have the right or authority to bind the other party. m. Disclosure: The Service hereunder is offered by Limocart.com, Inc., 115 River Road, suite 1206, Edgewater, NJ 07020. n. You hereby agree and acknowledge that Limocart is strictly a platform for Your bookings. You acknowledge and agree and that Limocart is not, nor in any will be held, responsible for any loss, damage or problem that You encounter with any of the customers you gain from Us. Limocart is a technology company that brings You and the customers together. You agree to use Limocart at your own risk. o. This Agreement constitutes the complete agreement between the parties hereto on the subject matter hereof, and all prior or contemporaneous agreements between the parties, whether oral or written, shall be deemed merged herein. Give us enough notice so that our drivers aren't already committed, and there's no fee. Cancellations that occur at less than these time frames will result in a charge of the full base fare as referenced on all trip confirmations sent via email for every reservation. Additionally, in the event the reserved base fare exceeds $500.00 (or USD equivalent), the minimum cancellation fee is 40% of the base fare irrespective of when the reservation is cancelled. For special events and/or specialty vehicles, the reservation is cancelled within 24 hrs. of the service date there is a 100% cancellation charge. All cancellation notices within 24 hrs. must be given via email in writing to reservation@limocart.com. It's highly recommended to attach your company's certificate of insurance below. Optionally you can fax it to us at 1-201-706-7716 if you don't have it on your computer . You won't be able to receive Limocart reservations without certificate of insurance. I have read and accepted the Affiliate Terms and Conditions for this website. © 2019 Limocart | Your Global Car Service | All rights reserved.